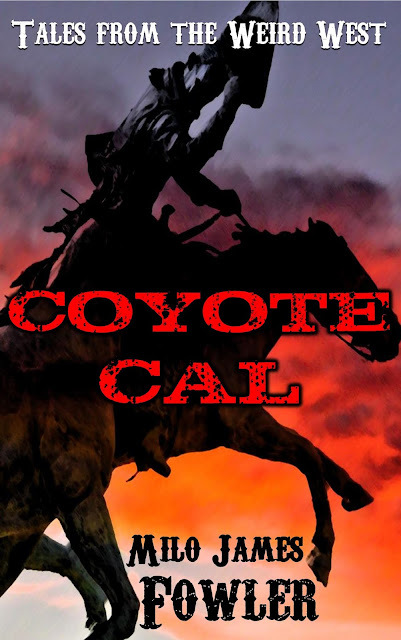 For the first time in recorded history, all nine of my Coyote Cal weird westerns find themselves collected in a single trade paperback (and updated eBook edition). Short story collection? Episodic novel? Something in between? Yessirree! In these thrilling tales from yesteryear (originally published in Pulp Empire's Heroes & Heretics anthology, The Red Penny Papers, the Arcane anthology, The Alchemy Press Book of Pulp Heroes, eFiction Horror, The Western Online, Plasma Frequency Magazine, Big Pulp Magazine, and the Way Out West anthology), Coyote Cal and his trusty sidekick Big Yap encounter a wizard able to change his shape at will, a scheming witch, a confused zombie, la chupacabra grande, bloodthirsty vampyres, and other sordid fiends. Our heroes will have to rely on their wits, skills, and loads of hot lead to ensure justice prevails. Trust me, it's not as easy as it sounds.